Happy woman dancing in kitchen wearing pajamas in morning. Brunette girl in cheerful mood haves fun alone. Slow motion. Old man showing thumb up. 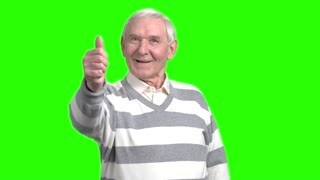 Smiling cheerful grandpa shows thumb up, green hromakey background. Portrait of grandpa in suit. 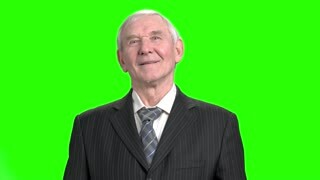 Happy and successful senior old man in striped suit, green background. Cheerful old man hailing. Front view smiling grandpa saying goodbyle. 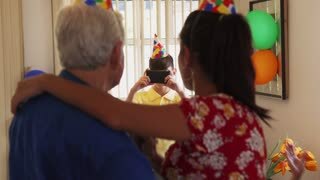 Happy old man holding hands on head. Grandpa happily wondering, hromakey backgrond.